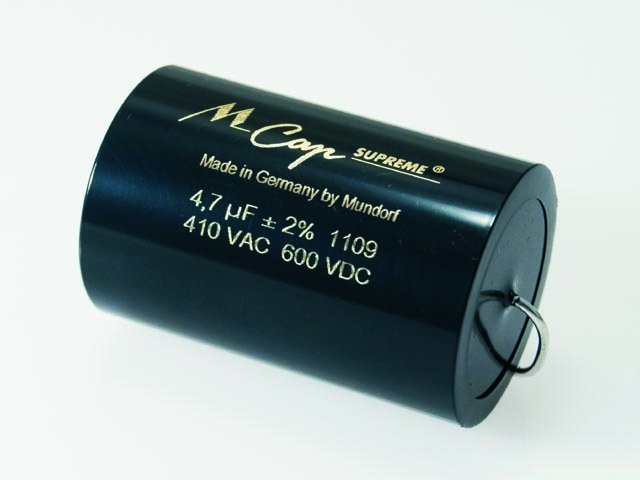 Mundorf´s MCap SUPREME has been internationally acclaimed as the ultimate high-endcapacitor. It is considered today by many users as a milestone in the modern audiophile capacitor generation. Its outstanding sound performance is achieved with a unique combination of advanced technologies: Special induction-free SUPREME winding technologies.